Width 1m (3ft3") Height 1.90m(6ft6"). 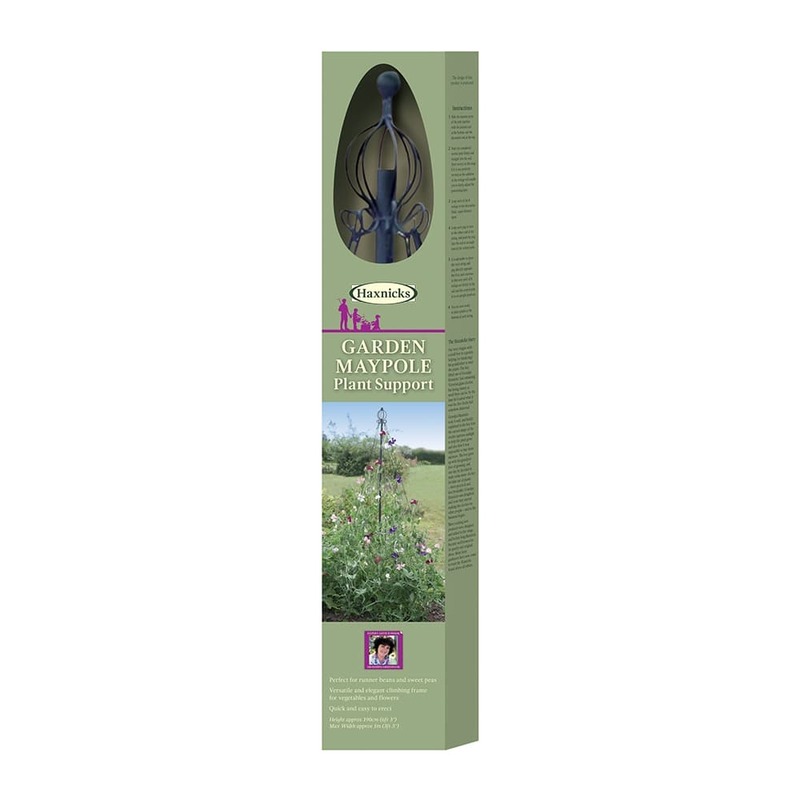 It is easy to create a beautiful living maypole in your garden. 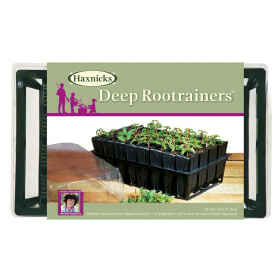 Once assembled simply sow or transplant your choice of climbers at the foot each of the eight strings eg. 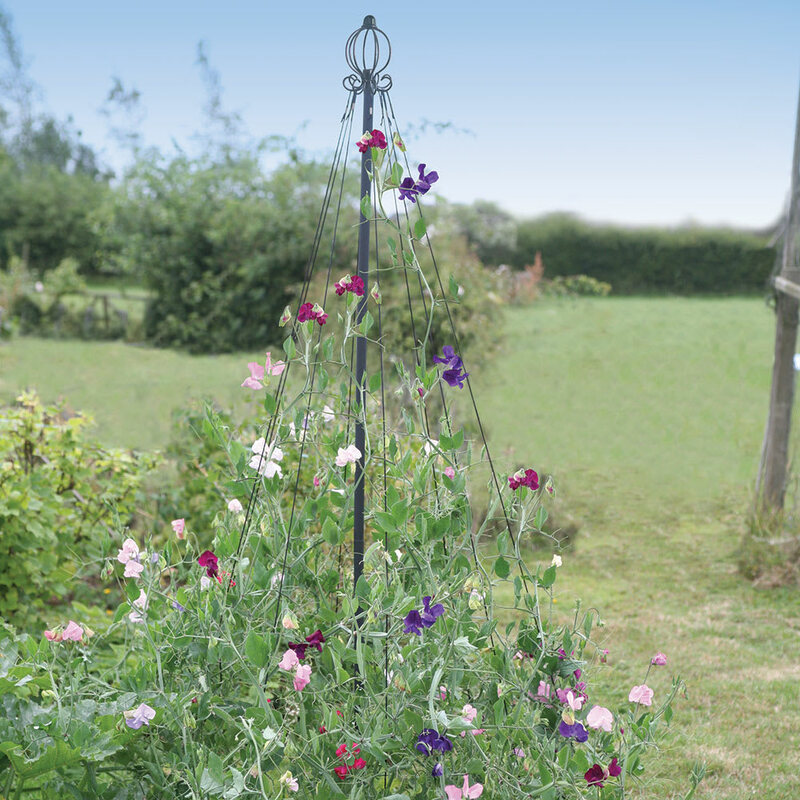 sweet peas and clematis or runner beans. The garden Maypole design is such that plants grow up the strings, pulling the strings even tighter, giving extra rigidity to the structure. 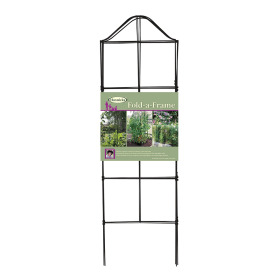 Versatile and elegant, these black powder-coated steel Garden Maypoles look amazing! 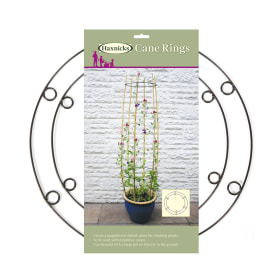 Helpful Haxnicks hint: use two Garden Maypole Supports side by side to create an elegant entrance to your veg plot.